We are Mike & Jess of Mike Hiatt Media! We are the sole operators of everything Mike Hiatt Media. We love all things weddings and really enjoy getting to know our couples, it is the best way for us to retell you love story from your wedding day! We enjoy having fun with our couples on the day of the wedding but when needed, stay back and capture all the candid, romantic moments others may miss. 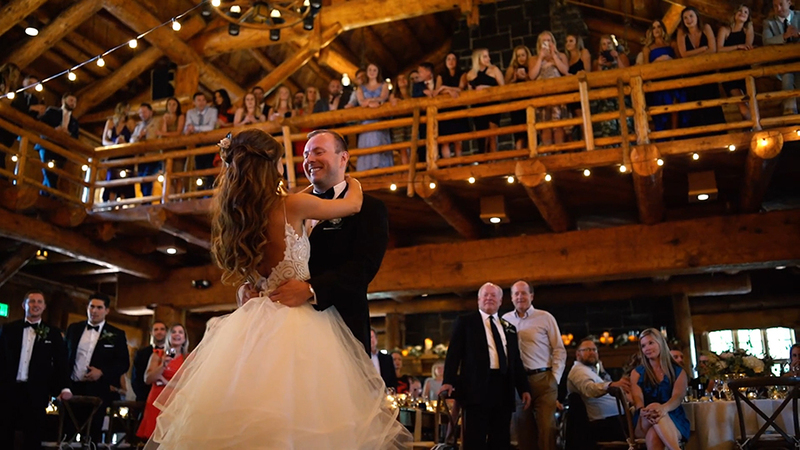 Our goal on your wedding day is for you to not realize we are recording so we can catch all the emotions and feels of your day, we want you to feel comfortable around us and our cameras, kind of like old friends! What is the most treasured thing from our wedding day? Our video!! 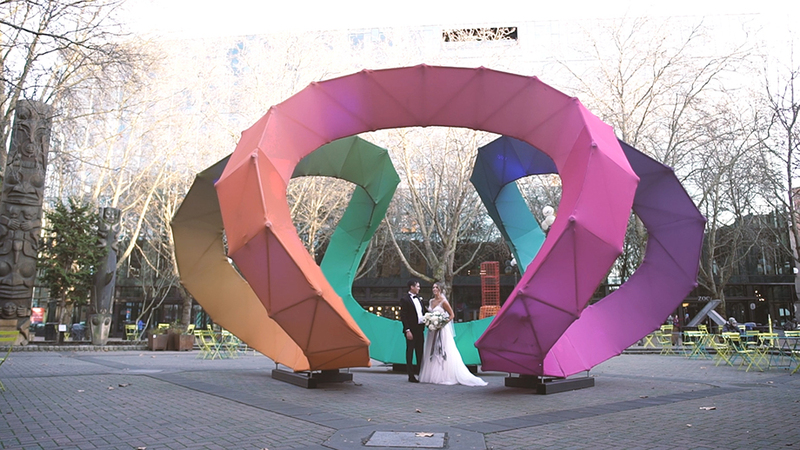 It's true what they say- your wedding day goes by in a blink. Before we knew it my dress was packed up and in the back of my closet, and friends and family had all left, and we were back at work. 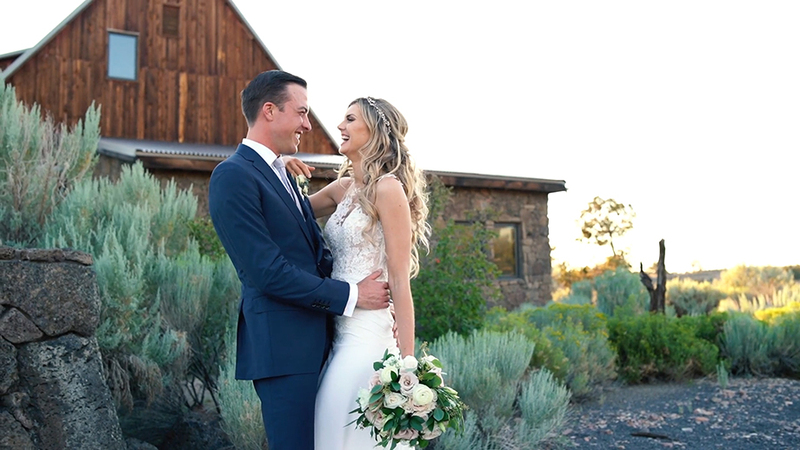 Watching our wedding video and being able to reminisce was such a special treasure! I know a lot of couples who forgo videos because of cost, but let me tell you why Mike and Jess Hiatt are some of my favorite people ever. 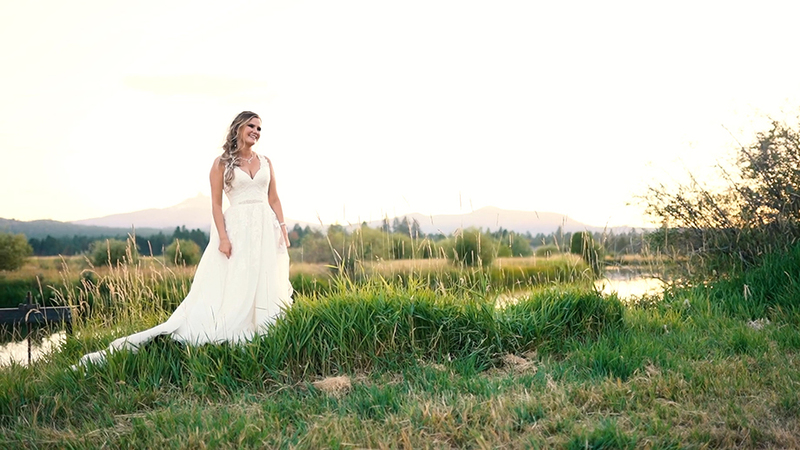 Our wedding video looks like it straight out of a fairytale. 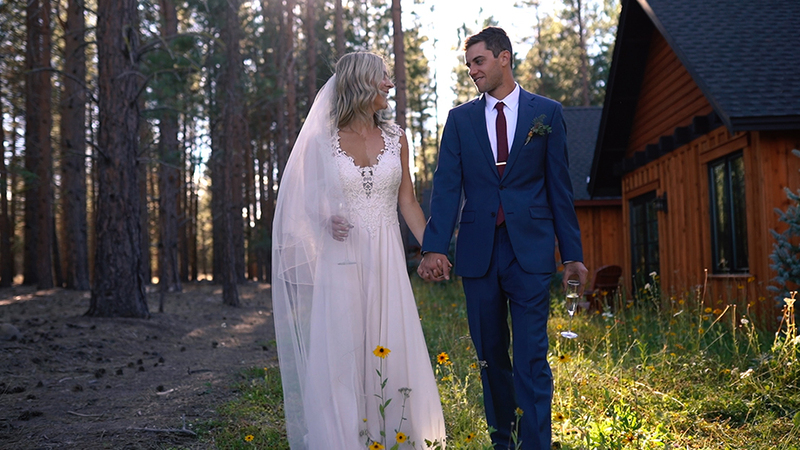 We got married in Bend in February (brr!) 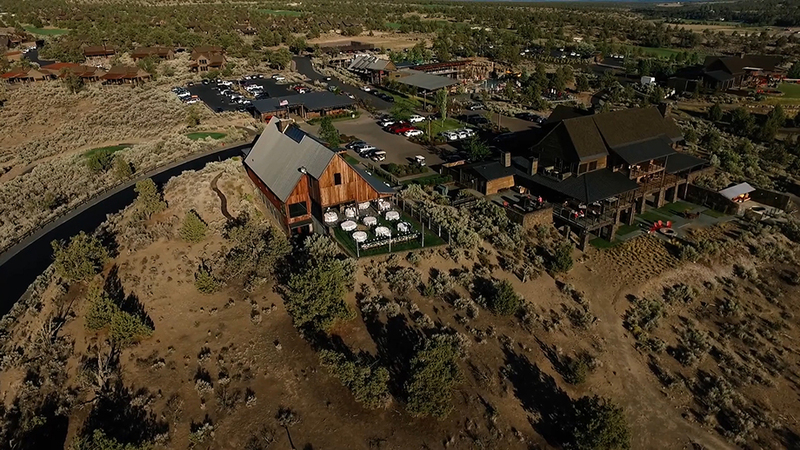 but from our video it looks like a warm summer's day! They captured EVERY detail. My husband and I were watching it (on repeat) and kept saying "oh yeah!! remember that!? Oh, that looked so good! Damn, look at how foxy we are!!" The swooping panning shots (forgive my unofficial videographer terms) were just swoon worthy and looked oh-so professional. Not to mention the whole video compilation was just PERFECT. Everything was timed to a T and the music just turned me into a giant sob fest. Mike and Jess definitely know their stuff. 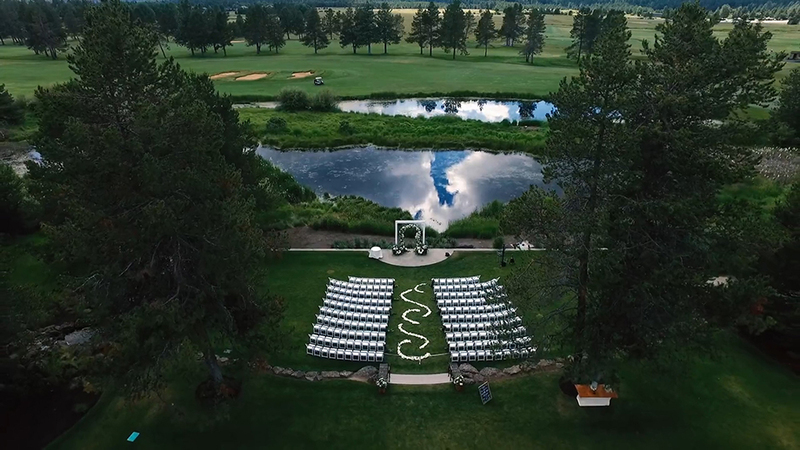 They even flow a drone over our first look and ceremony site- what an AMAZING way to capture the day. They followed us around to capture all the really special moments, but didn't make us feel intruded upon. Jess offered me a La Croix (because no one likes a dehydrated bride) and Mike was cracking jokes and helping my husband's nerves in front of the camera. They didn't treat our wedding like a paycheck, they treated it like a celebration of love and they were happy to be there. 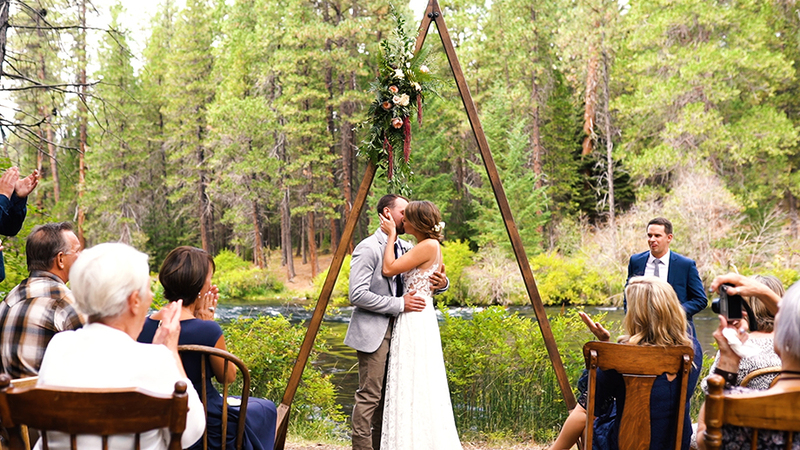 Honestly, our day was made better by having this amazing videographer duo, and we have this INCREDIBLE treasure that we watch on repeat and will keep forever. 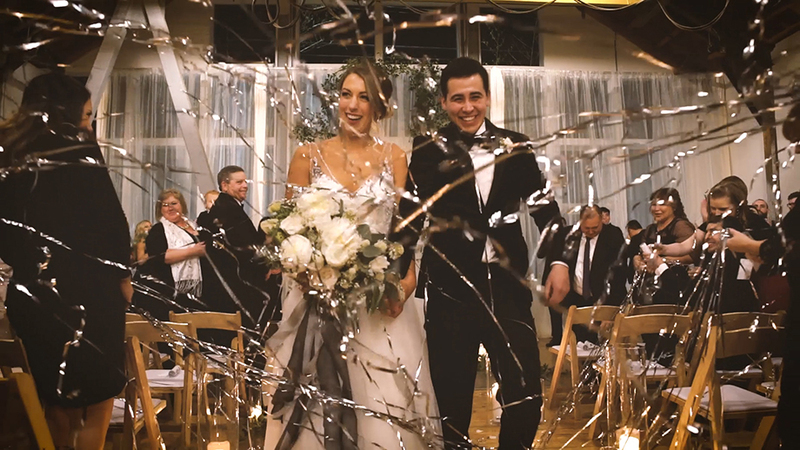 If you're on the fence as to whether or not to hire a videographer team, contact Mike and Jess- you won't regret it! Mike and Jess did an absolutely AMAZING job!! Not only did we meet up for drinks months before our wedding to get to know each other and ask questions, but they were so personable from the beginning. We had a destination wedding, but they made us always feel at ease with their constant communication and always making sure we were in the loop. The day of our wedding, they were prompt, set up, super professional, and everything ran very smoothly. 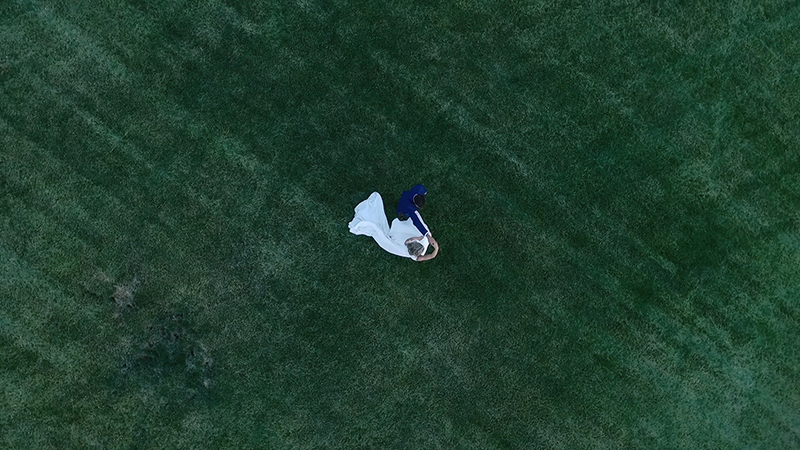 I didn't even notice the drone (which I heard would be loud...but it wasn't at all! 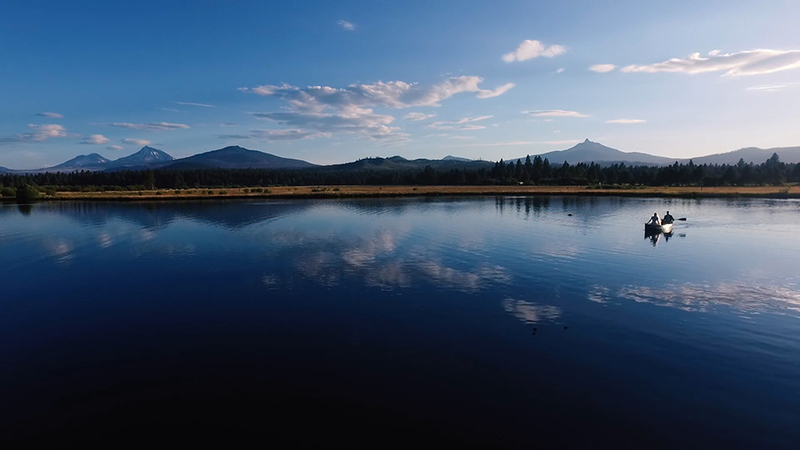 ), and some of my favorite shots were the overhead views of Sunriver. 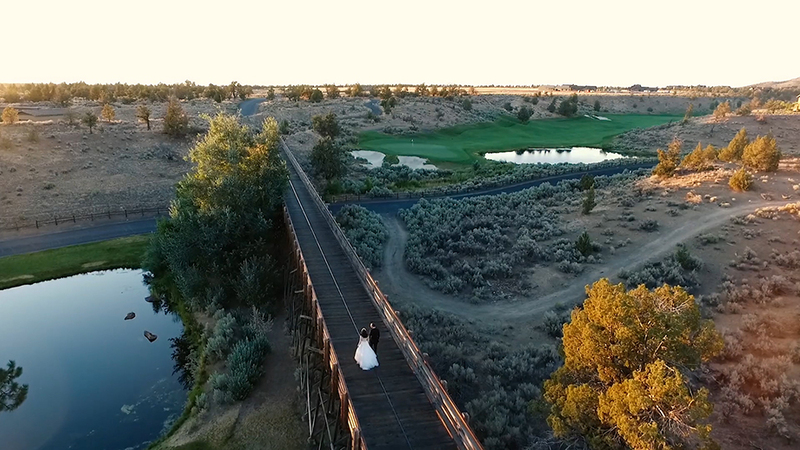 We now feel like we have amazing friends in Oregon, and our wedding highlight video is just so special. Amazing quality, gorgeous shots, super friendly couple...it doesn't get any better! Highly highly recommend! :) Thank you Mike and Jess!! This sweet couple will exceed all of your expectations! 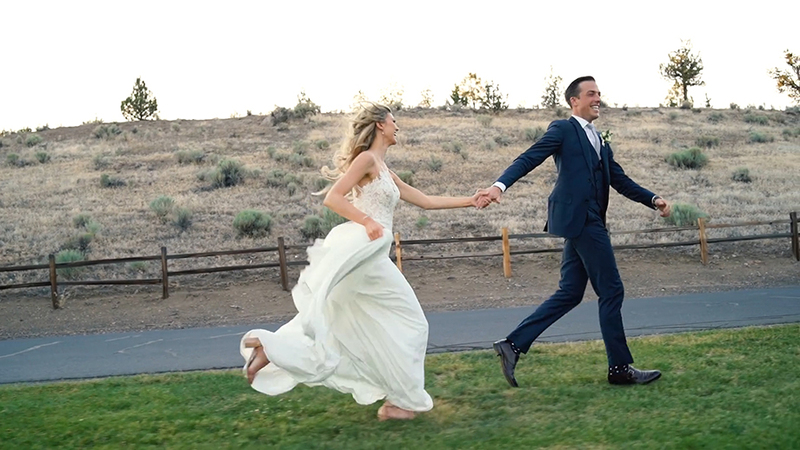 NEVER, never skip out on a wedding video!! Months later we are reliving our day and seeing new details and moments from our day every time. Mike Hiatt Media captured every element of our wedding perfectly. 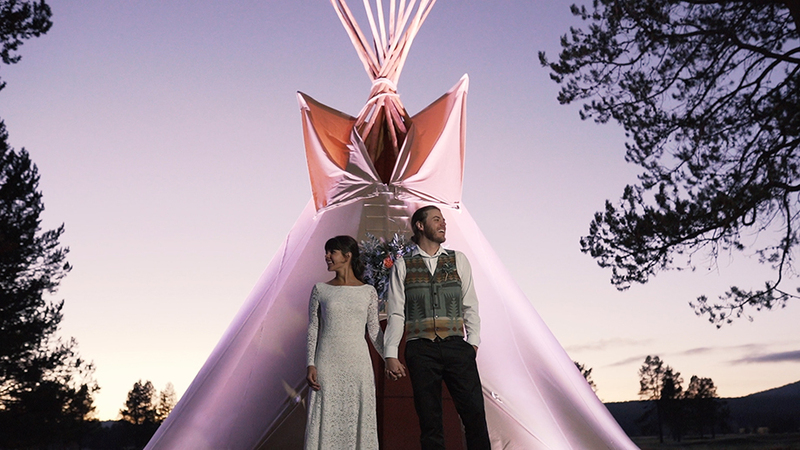 From our vows, to the decor to the guests laughing and dancing throughout the night - they seriously caught ALL of it! ALWAYS, always hire Mike and his wife Jess! They were so easy to work with, from booking them to the actual day. Mike gave the best direction and Jess was there to fix my train and my hair through out the ENTIRE day. Plus Mike and Jess are the absolutely sweetest people on the planet. 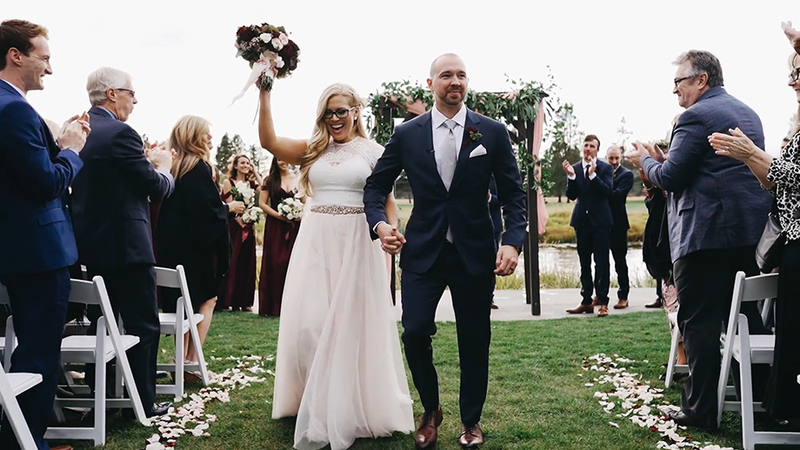 They added so much joy to our wedding day (and all the years to come when we watch our video) we can never thank them enough. Hire these guys, you will not regret it!!!! We are so happy we hired Mike and Jess for our wedding! They came highly recommended by our photographer, we had a destination wedding and they made long distance planning easy! Most friends told us, “skip the video and save money” and that we’d only watch it once.. we are so happy we didn’t listen! 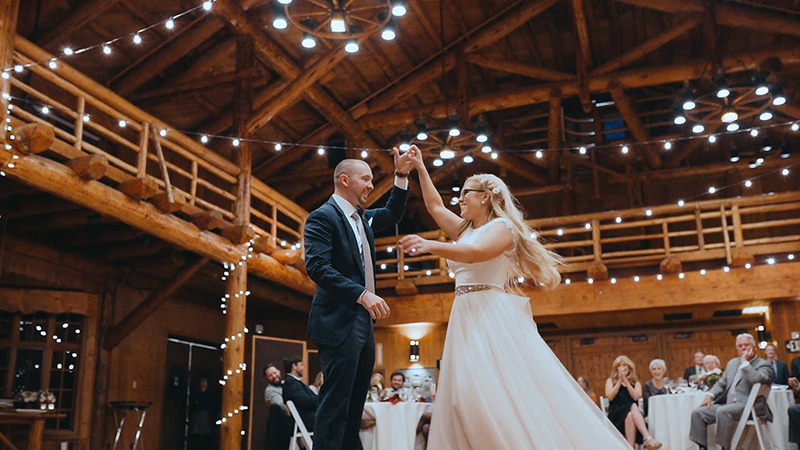 We have these amazing memories from our wedding day we will cherish forever, they captured our guests doing a choreographed dance we totally missed, moments we forgot, and facial expressions from guests were priceless and hilarious ! We are making it a tradition to watch every anniversary and our friends and family loved it, especially those who couldn’t make it. Mike and Jess exceeded our expectations! 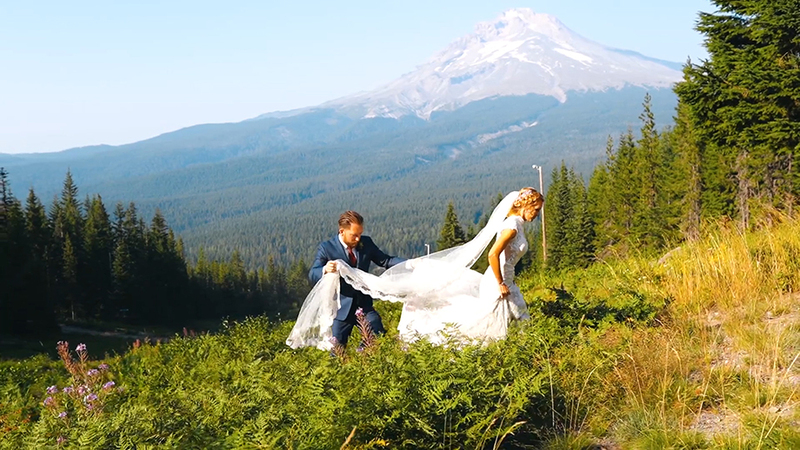 Our venue was glorious and they really highlighted the beauty of Mt Hood; guests going down the alpine slide (editing out the falls) and us dancing in the mountains! Our guests loved them! They were so professional and made sure we got all the footage we wanted, especially appreciated Jess helping to fix my hair and veil for the best shots! I highly recommend! Thanks again Mike and Jess! 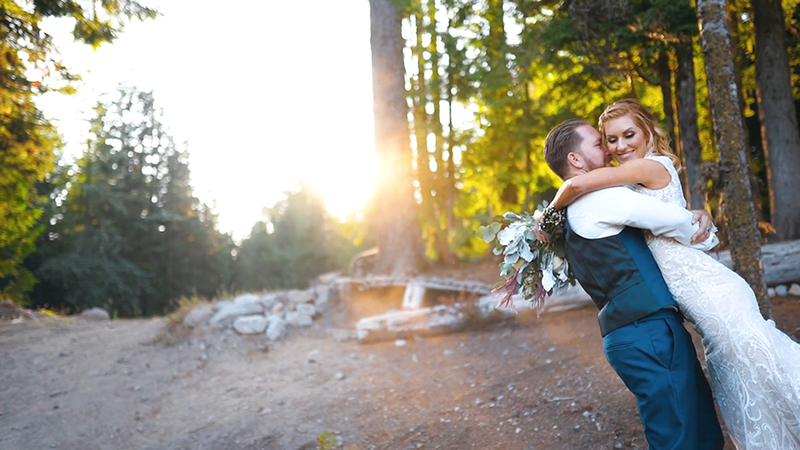 Working with Mike and Jess for our wedding was an absolute dream! They captured our day so beautifully, such that we will be able to relive it for years to come every time we watch the video. On top of being incredibly talented you can tell they are extremely passionate about what they do which comes through in their work. Also they are a ton of fun! I was a little nervous about having a camera follow us around all day but they fit into our wedding day seamlessly and we ended up becoming fast friends. I cannot recommend Mike Hiatt Media enough and I hope to get the opportunity to work with them again in the future!